Take a clipboard and go out on any street in Canada. Ask 100 people the name of the perpetrator of the 1989 murder of female engineering students at the Ecole Polytechnique in Montreal. These killings happened many years ago now, so most will not know, any more than they could name the prominent starlets of that year. But some will remember. Then go back and ask them to name any of the victims. Compare the numbers. Next, visit a public relations firm. Total up the column inches devoted – worldwide - to the life and habits of the perpetrator of the more recent Montreal case involving the dismemberment of a student there. Ask them how much it would cost – and what one might have to do – in order to get that much coverage. Compare the amount of coverage to that given Jessica Simpson, or Paris Hilton, or any other media figure of the day. We live in a celebrity-obsessed culture and, with the advent years ago of all-news channels, in one with a profound hunger for news content. Ask many people what they most want and they will say they would like to be famous. Ask what they fear, and many more will say a life of insignificance. We see reality shows and wonder “What could possibly motivate someone to go on that program when they know they will eventually be ridiculed and humiliated?” But we know the answer to that question. In large part, these programs are a shortcut to fame and an escape route from obscurity. You have appeared on television, therefore you exist. Descartes, by contrast, was unambitious: choosing to believe that he existed by the mere fact of being able to think. People Magazine had apparently not yet begun publishing when he espoused this view. There is one strategy in our culture that appears to be an even more certain path to media stardom: Kill a number of people in as dramatic a manner as possible. Attention is immediately riveted upon these perpetrators and they are, for a time, the darling of the news shows, complete with special graphics signaling the upcoming presentation of yet one more irrelevant tidbit about their lives and upbringing. Their stories and points of view are often made into movies. After the mass murder in Norway I read a piece about it on a prominent news site and counted 17 mentions of the killer’s name. Today, googling his name (within quotation marks, to increase the likelihood that the results are truly about him) turns up over 5 million results. 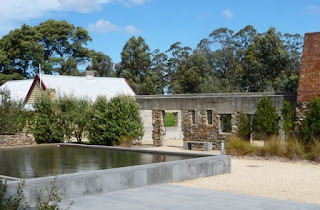 Several years ago I visited Tasmania, where in 1996 a disturbed gunman killed 35 people at a tourist site. The discussions of this event, in print and by Tasmanians, were notable in that the name of the perpetrator was seldom mentioned. I was informed that this was a conscious act on the part of citizens and media (following an initial period in which the Australian media publicized the individual). They would not elevate the perpetrator to a position of fame. In part, the sense was that such an aberrant act did not entitle the person to publicity. But there was also a hint of another motive: to reduce the appeal of slaughter as a self-aggrandizement strategy. The killer himself had been quoted as saying that his motive was to do something that would make everyone remember him. In the coverage of the recent slayings at a Batman screening in Colorado, the investment in hair dye, body armour, and symbolism seems to have paid off in much the way the perpetrator must have imagined. His name is a household word. His survival and eventual trial means that the coverage will continue. In the inevitable media discussions of this crime, mental health providers often figure prominently, burbling on about possibilities while carefully avoiding saying anything specific that might later turn out to be incorrect. Much is made of upbringing, of mental health issues, about the killer’s perceived slights by others, and, most of all, about the possible causal influence of violent films such as the one playing on the screen behind the real-life carnage. But what is seldom discussed, perhaps because of the discomfort it might provoke, is the possibility that one of the effects of the massacre, a media circus, is in fact one of the causes as well: the slaughter is motivated, in part, by the desire for fame, the most certain of all outcomes. I don’t suggest that all of these massacres are designed with notoriety in mind. I’m sure that some are the product of rage or delusion and that not a thought is given to the news coverage that will ensue. Even in these cases, though, the media firestorm surrounding prior shootings in a sense places massacre on the table: Other people go and shoot up the workplace; if you aren’t contemplating that, how aggrieved can you really be? Nor would I argue that this is the sole cause of any individual massacre. I have no doubt that early childraising, character disturbance, the fictional media’s obsession with violence, the easy availability of firearms, life setbacks, and multiple other factors all play a role. So what should be done? Should we pretend these killings don’t happen, and impose a media blackout? Obviously not. Should we ban discussion of the perpetrators, shrouding them thereby in romantic mystery? Probably counterproductive. I don’t have good answers. But I do have a few suggestions. We should ask ourselves how much we actually learn – in a way that enriches or preserves our lives or the lives of others – from the endless news coverage of these events. If not, why are we watching or reading? Is it possible that we are using the deaths of others as personal entertainment? Does this improve or degrade us? Avoid making it profitable. When you purchase the paper that day or surf to that news site, ask yourself whether you are not demonstrating to the media your thirst for this type of entertainment. The material is produced for a reason: demand. We cannot end this demand, and it is probably futile to try (this rant included). But we can avoid contributing to it ourselves. Reporters could follow the (eventual) Tasmanian example, and limit the degree to which they publicize perpetrators. One measure alone might suffice: to avoid mentioning the person’s name more than once in any news piece. It is probably impractical to eliminate the name altogether, but reporters could limit the degree to which it is made a household word. It is true that perpetrators sometimes have a form of mental disturbance, but this cannot be used as an explanation for their behaviour. The vast majority of individuals with mental disorders contribute immensely to their societies despite their difficulties and are not violent in any way – and yes, this includes the psychotic (who account for very few of the mass slaughters in any case). Attributing the event to the difficulty is a bit like saying the possession of two hands is the cause of theft, given that so many burglars are so equipped. So perhaps a degree of sophistication in coverage is called for, including the willingness to examine the role that reportage itself may have in the encouragement of these crimes. Thank you for writing this so eloquently. I believe more people need to hear this and have shared it on my facebook. Great article!